West Nile virus is a mosquito-borne zoonotic disease that affects both horses and humans. Since 1999, over 25,000 cases of West Nile Virus have been reported in U.S. horses with horses representing 96.9% of all reported non-human mammalian cases of WNV disease. In horses that do become clinically ill, the virus infects the central nervous system and causes symptoms of encephalitis. The case fatality rate for horses exhibiting clinical signs of WNV infection is approximately 33%. Data have supported that 40% of horses that survive the acute illness caused by WNV still exhibit residual effects, such as gait and behavioral abnormalities, 6-months post-diagnosis. West Nile virus is transmitted from birds, often referred to as avian reservoir hosts, by mosquitoes, and infrequently by other bloodsucking insects, to horses, humans and a number of other mammals. Horses and humans are considered to be dead-end hosts for West Nile Virus because the virus is not directly contagious from horse to horse or horse to human, and indirect transmission via mosquitoes from infected horses is highly unlikely as these horses do not circulate a significant amount of virus in their blood. Vaccination against the West Nile virus is the best method of prevention. A USDA licensed vaccine is recommended as a core vaccine and is an essential standard of care for all horses in North America. In addition to a sound vaccination protocol recommended by a veterinarian, simple insect control measures should be utilized and insect repellents used when horses are in areas exposed to mosquitoes. Horses should be stabled during dusk and dawn hours and other times when mosquitoes are present and good use of fan to insure insects don't invade barn and stable areas is important. In addition, horse owners should eliminate opportunities for mosquito breeding by draining wet areas of pasture, filling puddles, repairing eve troughs, gutters, and clearing any containers that might hold even small pools of water. Draining water tanks once or twice weekly should be a priority during mosquito season. Additionally, controlling mosquitoes in ponds and large water containers through the use of larvacides and fish helps keep the mosquito population down. 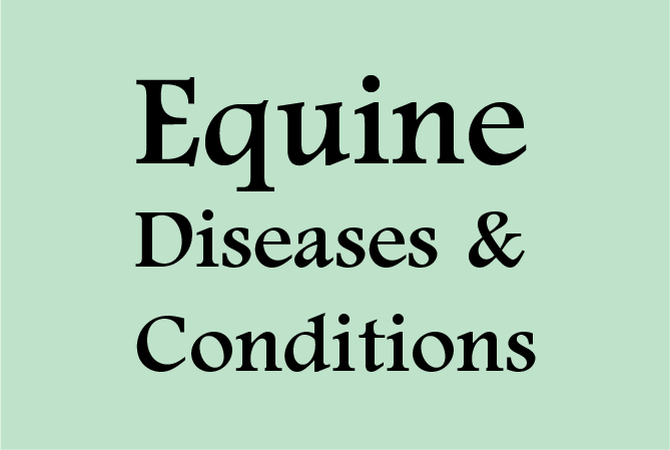 Treatment is vital for any horse with WNV. At the present time there is no specific "medicine" for a horse that develops WNV, although there are some promising advances being made in that area. Working with a veterinarian who is able to provide supportive therapy can save the horse’s life. For advanced cases, horses usually have to be hospitalized. For mild cases, home care may be adequate. Proper nursing care and treatment is important to the recovery process and each animal is assessed according to it's age and health. Over the last few years, it has been discovered that of those horses that recover, some will relapse within a few months or a year and some will die. The main focus of veterinarian aided therapy is to decrease brain inflammation, treat the fever, if any, and provide supportive care, which may require 1-4 weeks of intermittent therapy. Common medications recommended by veterinarians include flunixin meglumine (Banamine), dimethyl sulfoxide (DMSO), and dexamethasone. Sometimes fluid therapy is needed for animals that are not able to drink to prevent dehydration.